You say that you do not belong here among the unworthy, outsider, but your spirit fragments so easily. How am I to know you speak the truth? I cannot, so you must show me. Bring yourself to the eternal battlefield and face my champion. If you manage to defeat him, then I may grant you a pardon. 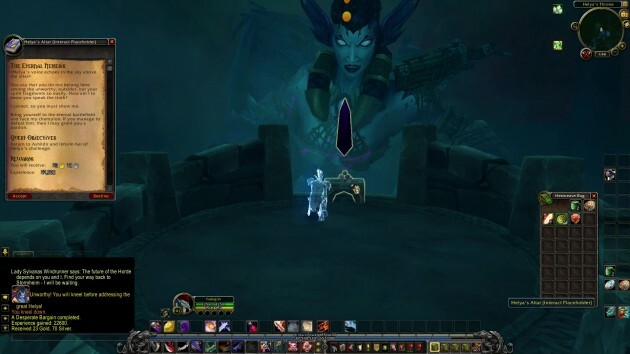 Return to Ashildir and inform her of Helya’s challenge. Helya: Have fun with my pet, outsider. I will enjoy watching him break you! 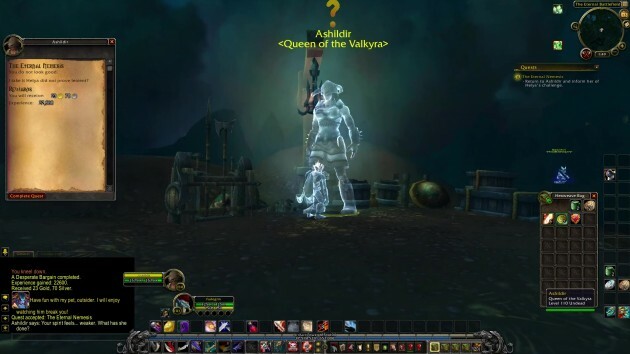 Ashildir: Your spirit feels… weaker. What has she done? Ashildir: You do not look good. I take it Helya did not prove lenient?